The prosecution of a veteran republican accused of involvement in the murder of Belfast mother of 10 Jean McConville is to proceed. After a number of court extensions to consider their case, prosecutors had been given a final deadline of today to indicate whether they would be pursing the case against Ivor Bell. A lawyer for the North's Public Prosecution Service (PPS) ended mounting public uncertainty around the case this morning when he told judge George Connor it would be proceeding. “A decision has now been taken to prosecute this defendant,” he said. Bell, 78, from Ramoan Gardens in west Belfast, was arrested and charged in March last year. 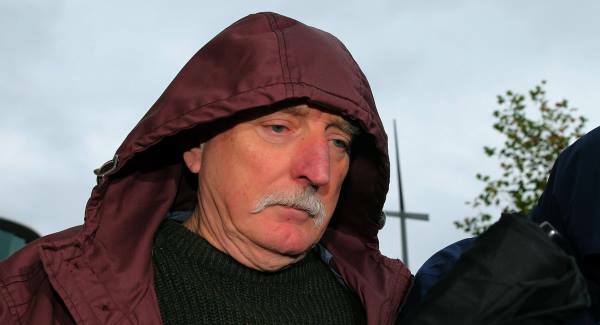 He is charged with aiding and abetting the murder of the widow who was abducted from her home in west Belfast in 1972. He is further accused of IRA membership. Bell, wearing a dark grey shirt, sat impassively in the dock of Belfast Magistrates’ Court during the short hearing. Two of Mrs McConville’s children, Michael and Suzanna, watched proceedings from the public gallery. Part of the case against Bell is based on a tape police secured from an oral history archive collated by Boston College. The college interviewed a series of former paramilitaries on the understanding their accounts would remain unpublished until their deaths. But that undertaking was rendered meaningless when the Police Service of Northern Ireland (PSNI) won a court battle in the US to secure the recordings. Mrs McConville was dragged from her home in the Divis flats by an IRA gang of up to 12 men and women after being accused of passing information to the British Army in Belfast – an allegation discredited by the Northern Ireland Police Ombudsman. She was shot in the back of the head and buried 50 miles from her home. The IRA did not admit her murder until 1999 when information was passed to police in the Irish Republic. She became one of the “Disappeared” and it was not until August 2003 that her remains were eventually found on Shelling Hill beach, Co Louth. No-one has been convicted of her murder. Sinn Fein president Gerry Adams was last year arrested and questioned as part of the police investigation into Mrs McConville’s death. The Louth TD has consistently rejected allegations made to Boston College by former republican colleagues including Brendan Hughes and Dolours Price that he had a role in ordering her death. The PPS continues to review a file on Mr Adams. This page was loaded Apr 23rd 2019, 9:52 pm GMT.